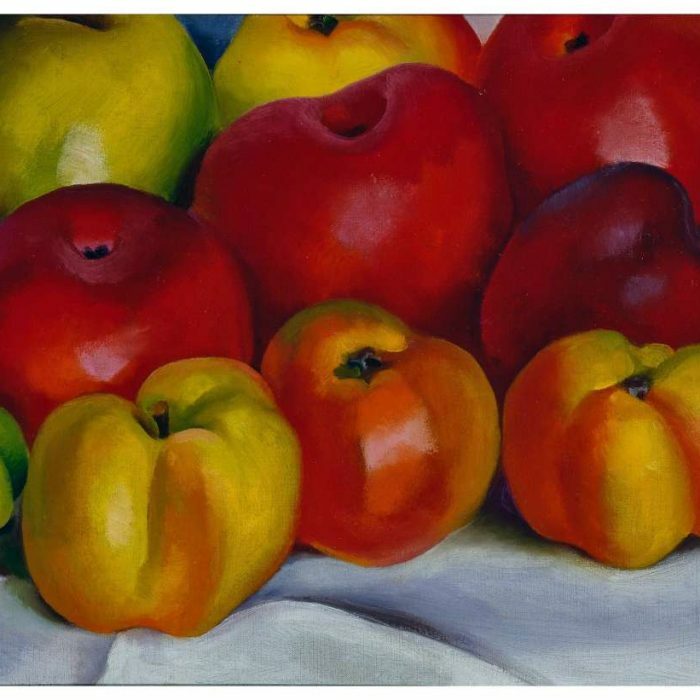 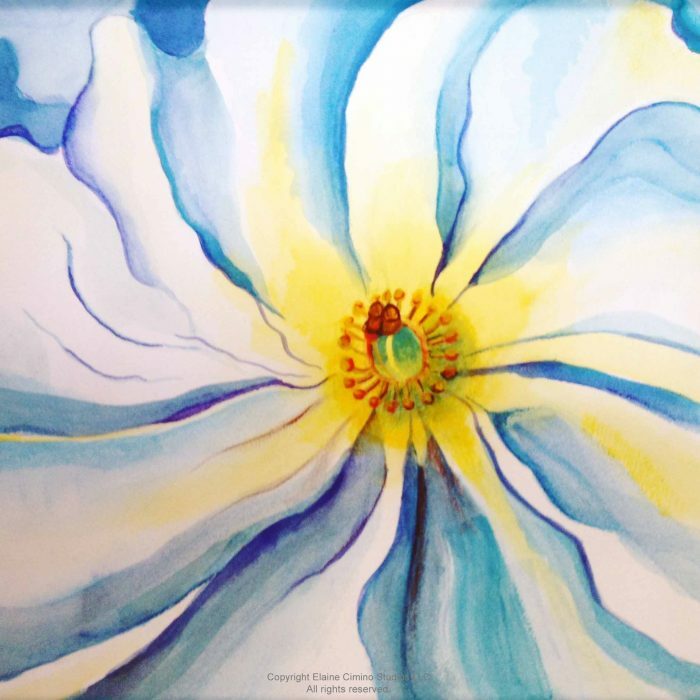 Her interest in art was rekindled four years later when she took a summer course for art teachers at the University of Virginia, Charlottesville, taught by Alon Bement of Teachers College, Columbia University. 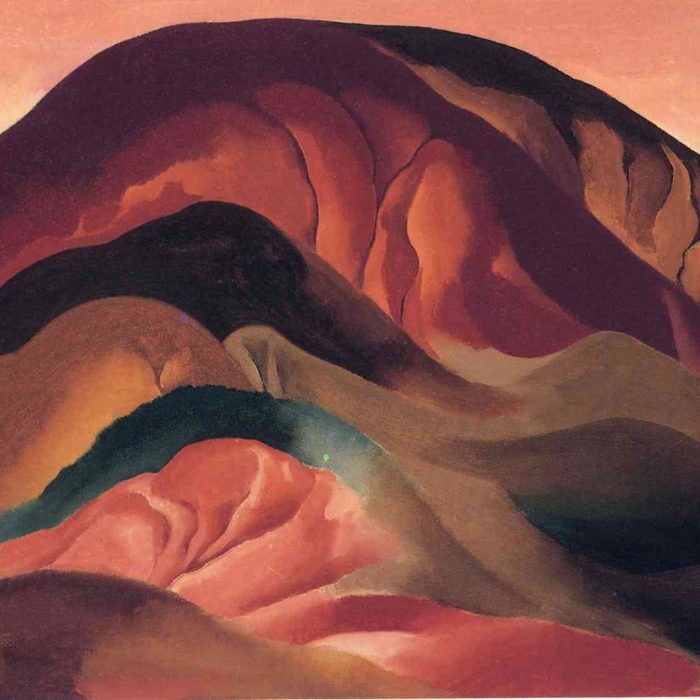 Bement introduced O’Keeffe to the then revolutionary ideas of his colleague at Teachers College, artist and art educator Arthur Wesley Dow. 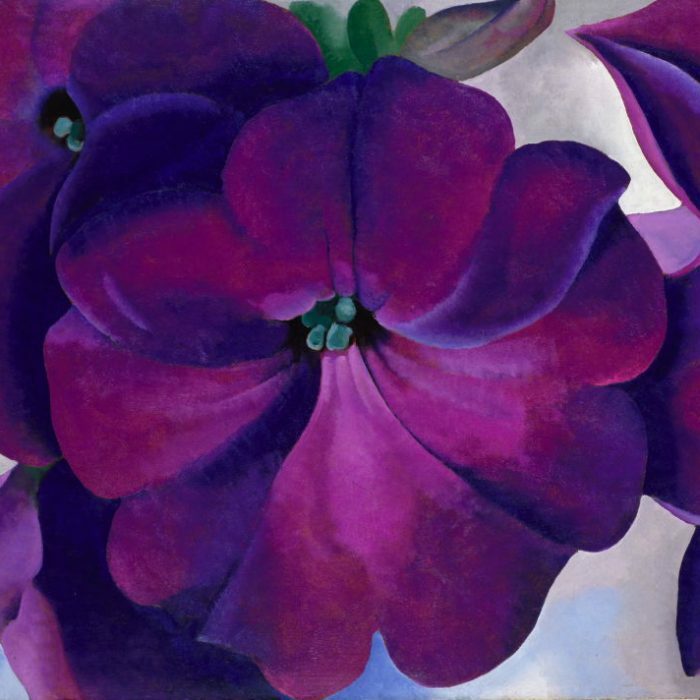 Dow believed that the goal of art was the expression of the artist’s personal ideas and feelings and that such subject matter was best realized through harmonious arrangements of line, color, and notan (the Japanese system of lights and darks). 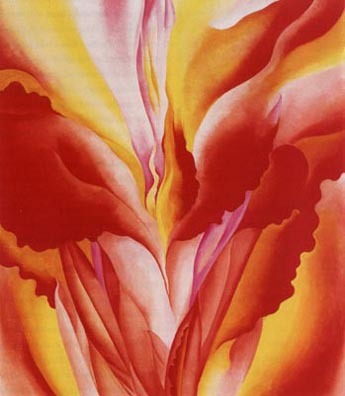 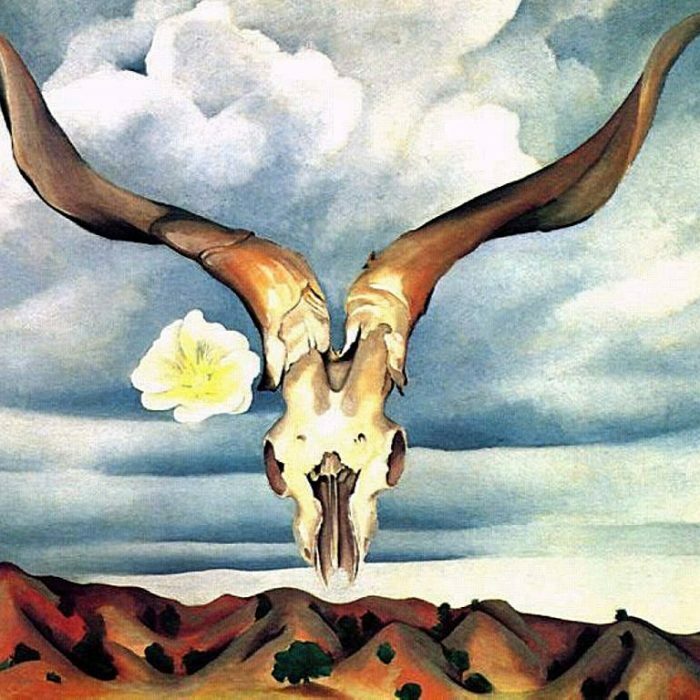 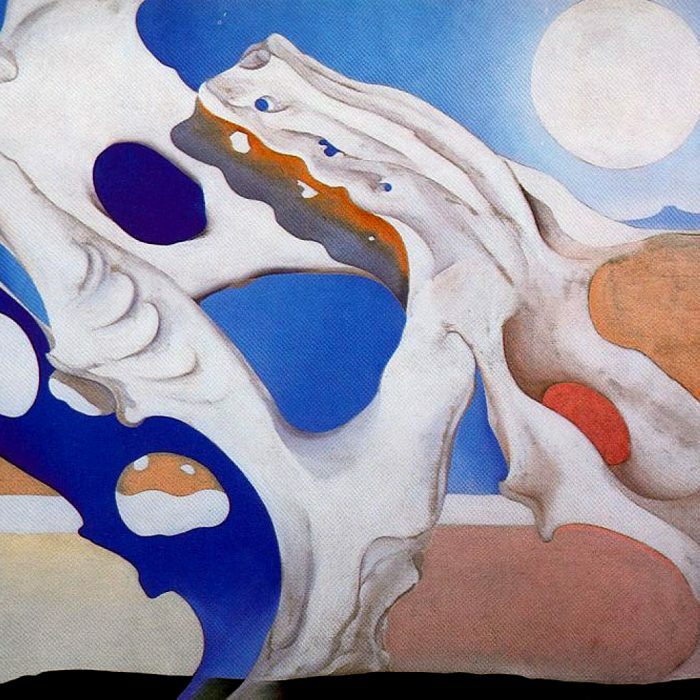 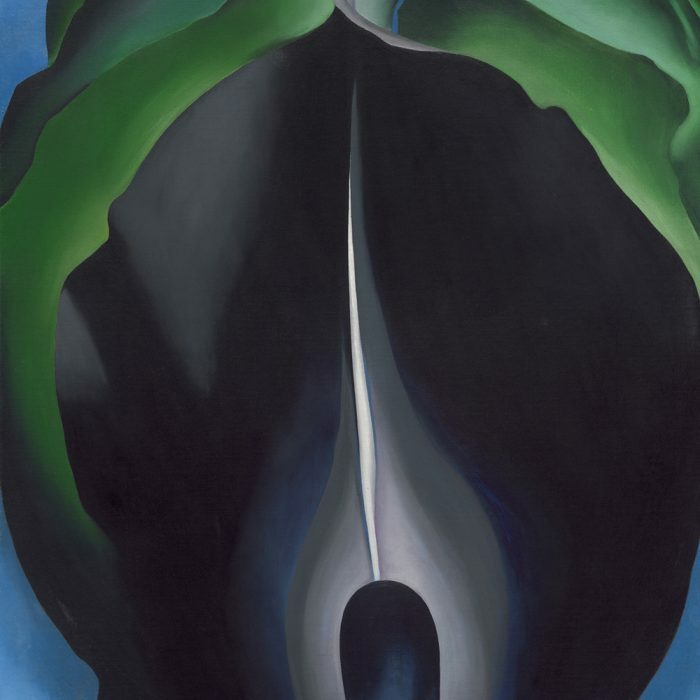 Dow’s ideas offered O’Keeffe an alternative to imitative realism, and she experimented with them for two years, while she was either teaching art in the Amarillo, Texas public schools or working summers in Virginia as Bement’s assistant. 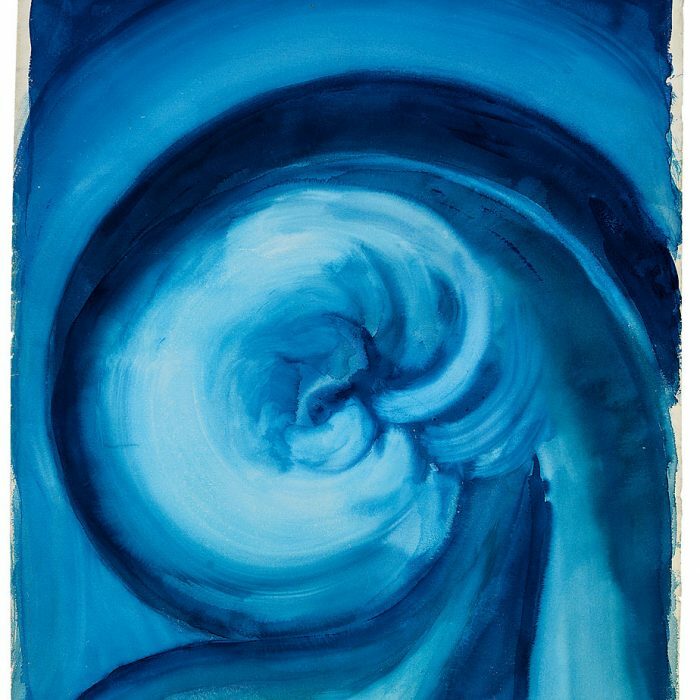 Stieglitz began corresponding with O’Keeffe, who returned to New York that spring to attend classes at Teachers College, and he exhibited 10 of her charcoal abstractions in May at his famous avant-garde gallery, 291. 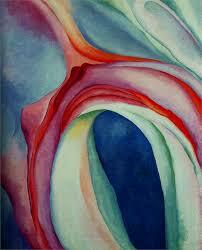 A year later, he closed the doors of this important exhibition space with a one-person exhibition of O’Keeffe’s work. 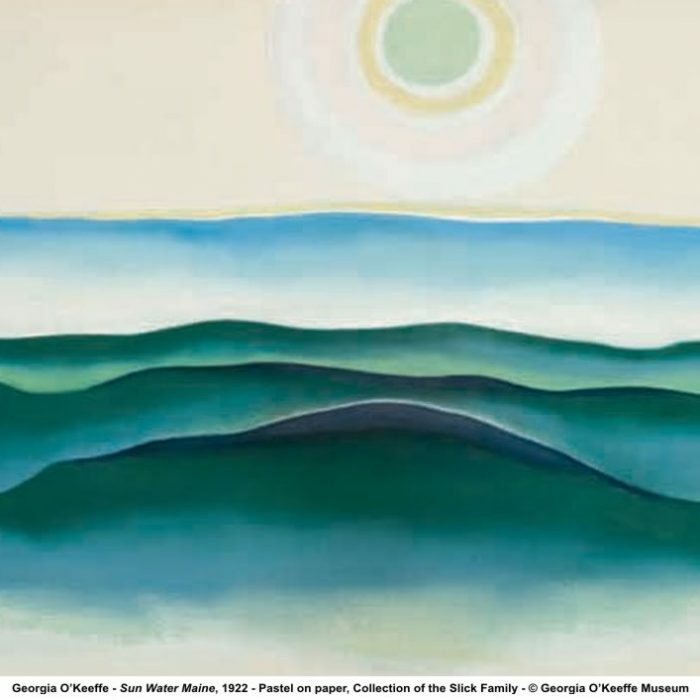 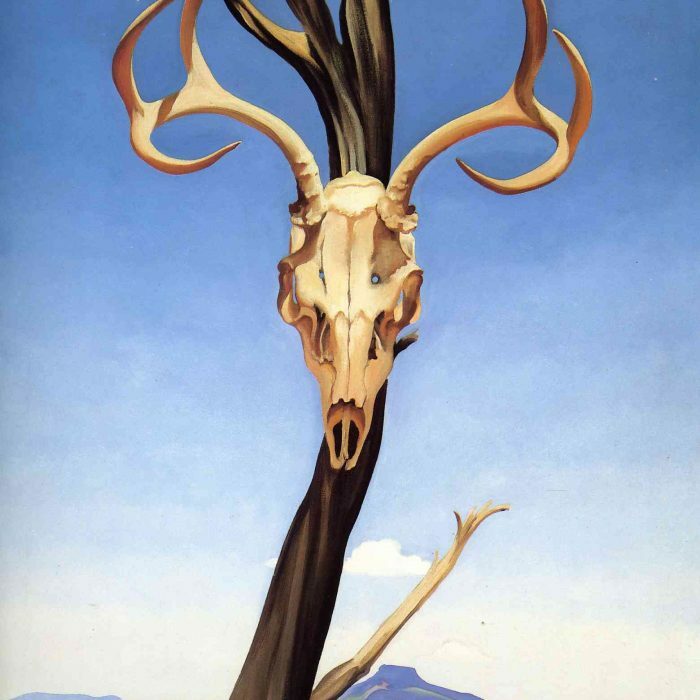 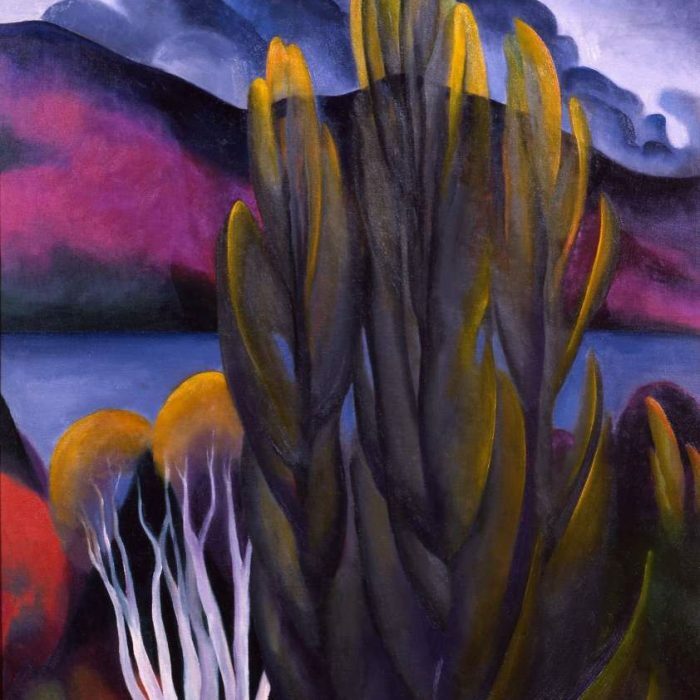 In the spring of 1918 he offered O’Keeffe financial support to paint for a year in New York, which she accepted, moving there from Texas, where she had been affiliated with West Texas State Normal College, Canyon, since the fall of 1916. 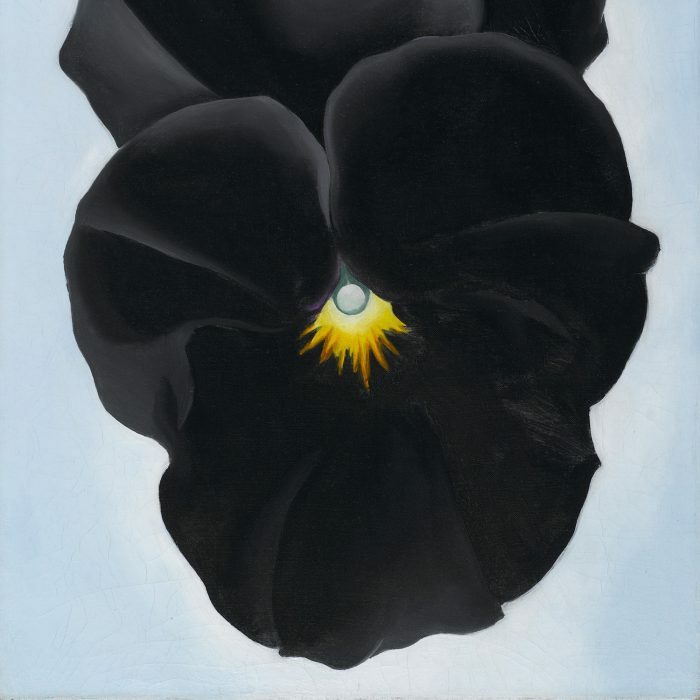 Shortly after her arrival in June, she and Stieglitz, who were married in 1924, fell in love and subsequently lived and worked together in New York (winter and spring) and at the Stieglitz family estate at Lake George, New York (summer and fall) until 1929, when O’Keeffe spent the first of many summers painting in New Mexico. 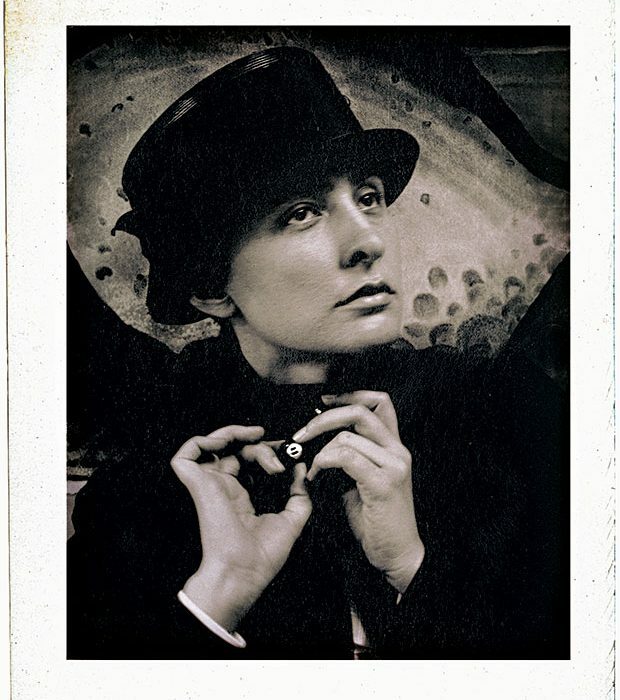 From 1923 until his death in 1946, Stieglitz worked assiduously and effectively to promote O’Keeffe and her work, organizing annual exhibitions of her art at The Anderson Galleries (1923–1925), The Intimate Gallery (1925–1929), and An American Place (1929–1946). 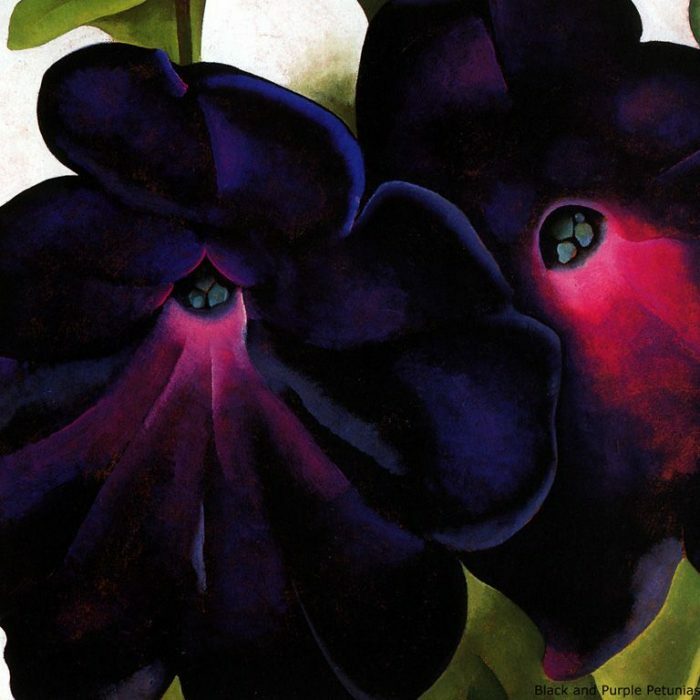 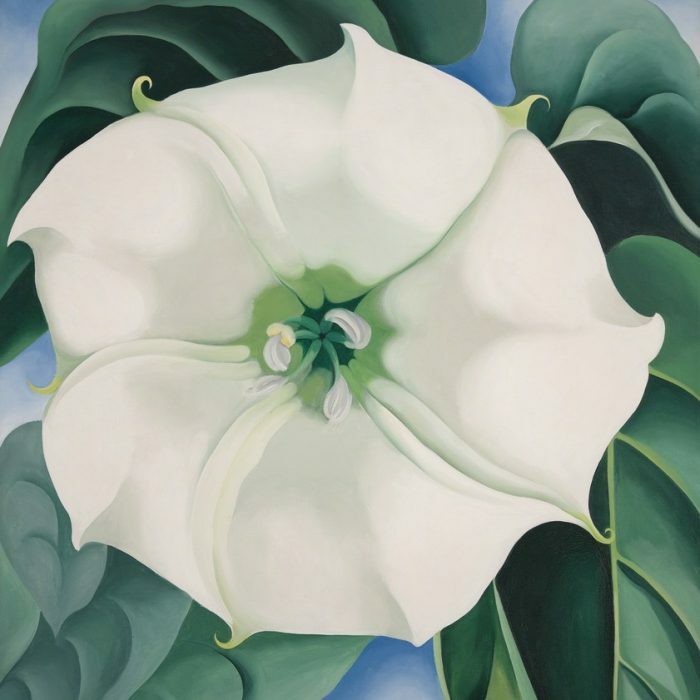 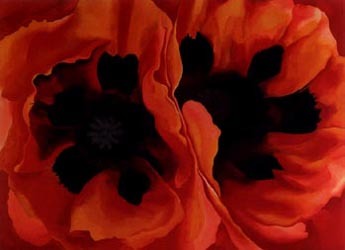 As early as the mid-1920s, when O’Keeffe first began painting large-scale depictions of flowers as if seen close up, which are among her best-known pictures, she had become recognized as one of America’s most important and successful artists. 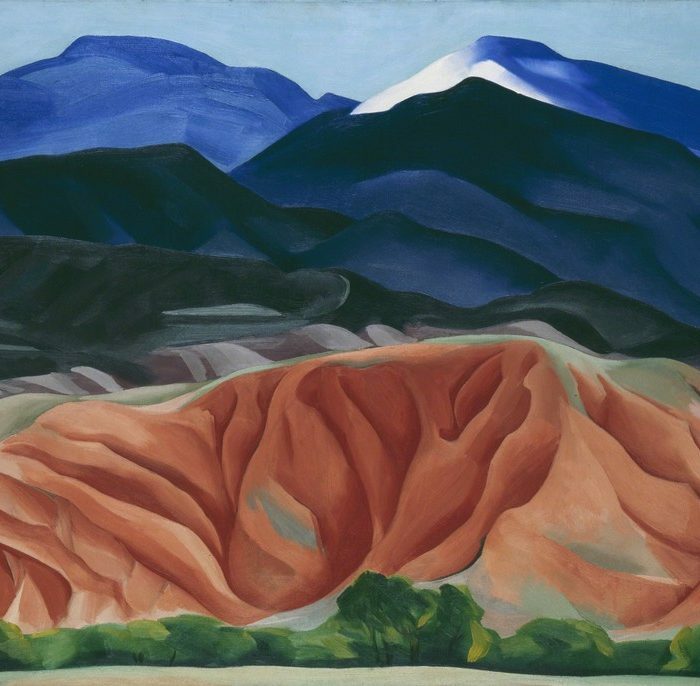 Three years after Stieglitz’s death, O’Keeffe moved from New York to her beloved New Mexico, whose stunning vistas and stark landscape configurations had inspired her work since 1929. 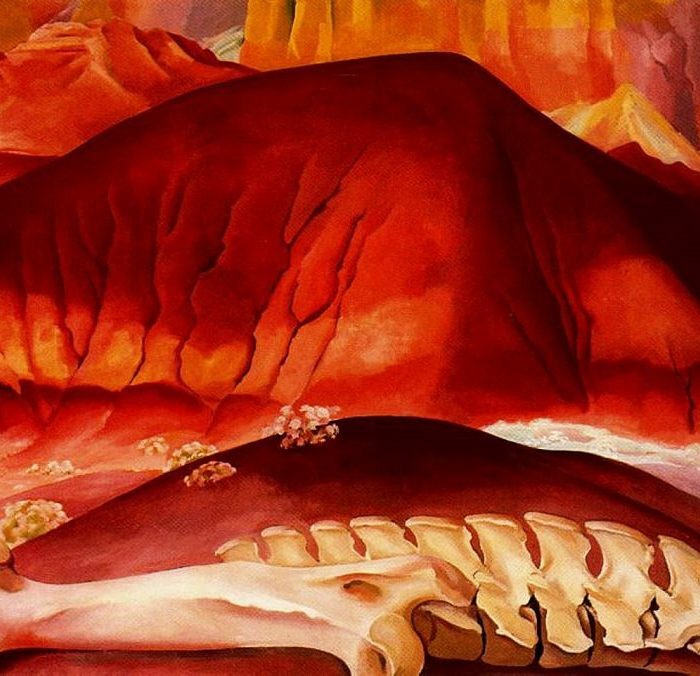 She lived at her Ghost Ranch house, which she purchased in 1940, and at the house she purchased in Abiquiu in 1945. 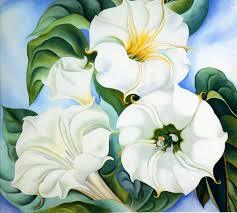 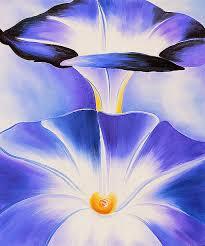 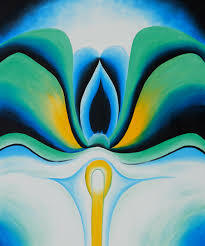 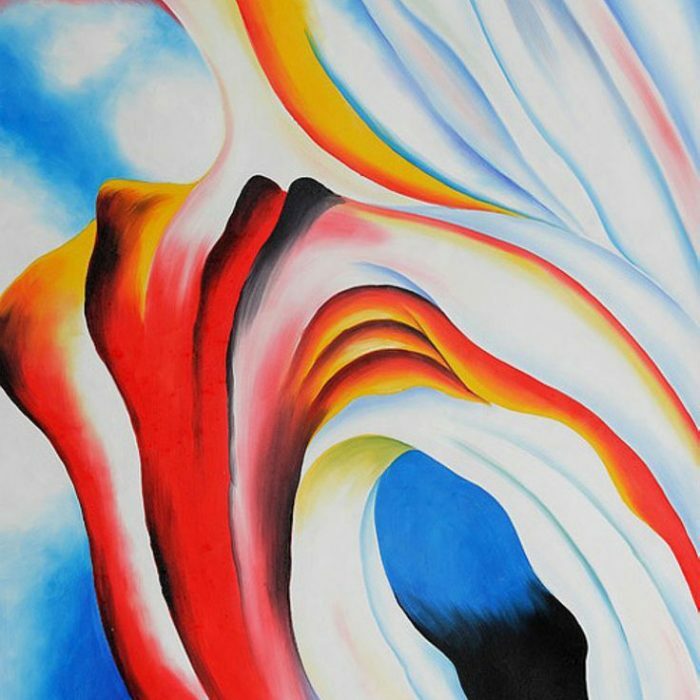 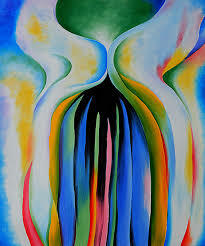 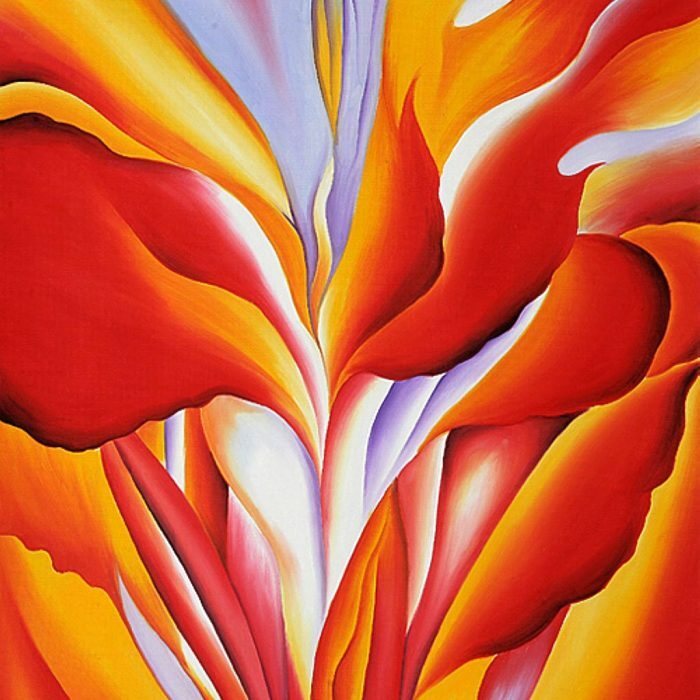 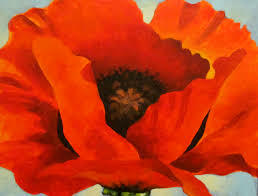 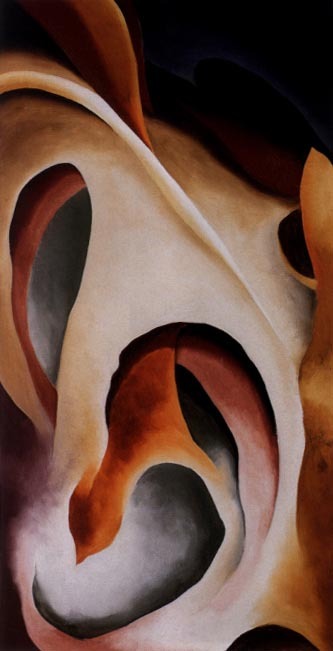 O’Keeffe continued to work in oil until the mid–1970s, when failing eyesight forced her to abandon painting. 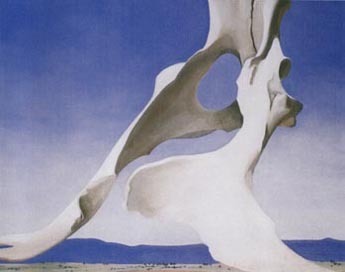 Although she continued working in pencil and watercolor until 1982, she also produced objects in clay until her health failed in 1984. 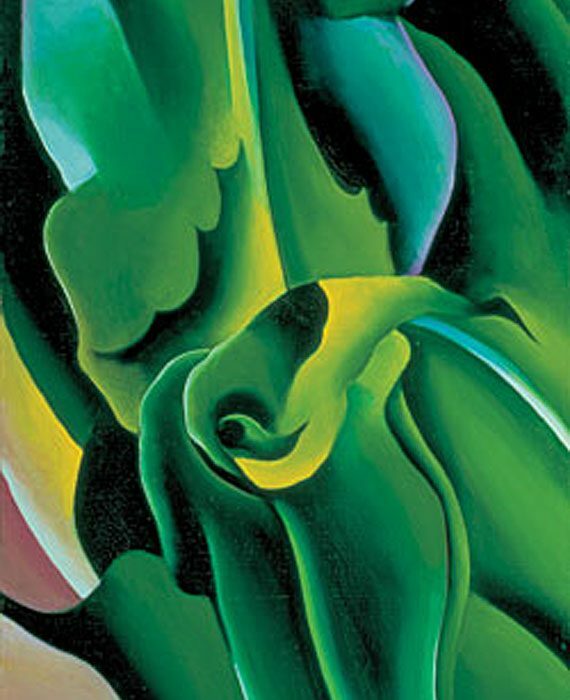 She died two years later, at the age of 98.